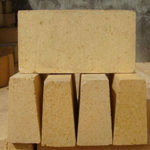 Magnesium brick is a kind of basic firebrick, its main crystalline phase is magnesite. 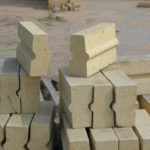 Sintered magnesium brick is usually called magnesium brick, it is a kind of basic refractory brick with largest output. Based on MgO content, magnesium bricks can be divided into different grades: 90#, 95# and 98#. 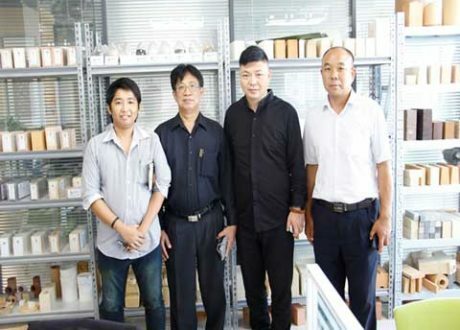 For 90# magnesium brick, MgO content is 86%, correspondingly, 95# magnesium bricks’ MgO content is 91%, and the MgO content of 98# magnesium brick is 96%. If you want to get high quality magnesium bricks, please feel free Contact Us for more details! 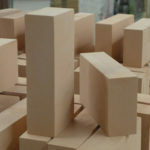 According to the production process, magnesium bricks are classified into sintered magnesium brick, unburned magnesium brick, fused re-bonded magnesium brick, chemical re-bonded magnesium brick. 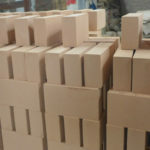 Sintered magnesium bricks are divided into silicate bonded magnesium brick, direct bonded magnesium bricks, re-boned magnesium bricks, semi-re-bonded magnesium bricks, etc. Unburned magnesium bricks are divided into chemical bonded magnesium bricks and pitch bonded magnesium bricks. 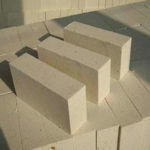 The refractoriness of Magnesium brick is usually above 2000℃, while its refractoriness under load temperature differs greatly based on cementation phase melting point and the quantity of liquid phase. The refractoriness under load beginning temperature of ordinary magnesium brick is 1520~1600℃, while that of high purity magnesium brick can reach to 1800℃. At 1000~1600℃, the linear change rate of magnesium brick is 1.0%~2.0%, and it is almost linear. 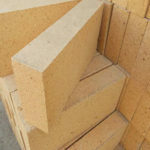 Magnesium brick has high thermal conductivity, its thermal conductivity is only lower than carbon bricks, and it has a inverse correlation with temperature, i.e., when temperature raises, it drops. At 1100℃, water cooling condition, the thermal shock resistance of magnesium brick is only 1~2 time. Magnesium brick can resist iron oxide and calcia containing basic slag corrosion, but it can’t resist acid slag corrosion, such as silica containing slag, so it can’t contact with silica brick directly during using, they are usually separated by neutral bricks. At low temperature, magnesium brick has very low electricity conductivity, but at high temperature, its electricity conductivity is non-negligible, so, if magnesium brick is used at electric furnace bottom, especially in damp environment, special attention should be paid on it. Rebonded magnesium brick adopts fused magnesia sand as raw material, so it is also call fused magnesium brick. MgO content of fused magnesium brick is higher than sintered magnesium brick, meanwhile, the bulk density is higher, porosity is lower, and crystalline granule is larger. 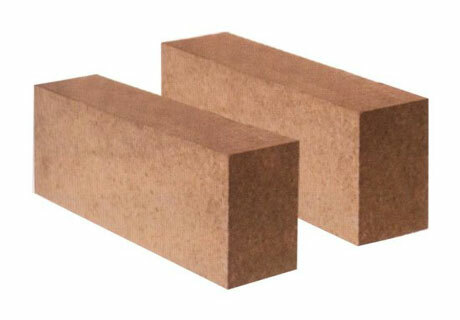 Rebonded magnesium brick should be molded under high pressure and sintered at 1800℃ high temperature. 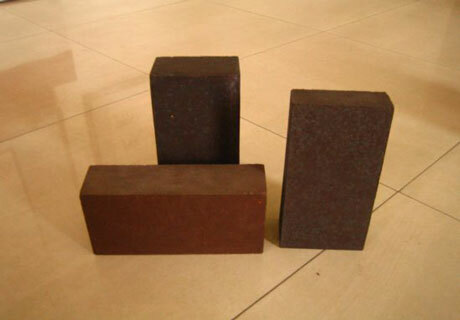 To enhance slag corrosion resistanceof re-bonded magnesium bricks, they can impregnated in pitch under vacuum atmosphere. Rebonded magnesium bricks have the properties such as high bulk density, good high temperature performance and hydration resistance. Chemical bonded magnesium bricks are unburned magnesium bricks which are chemically bonded and can be directly used without high temperature sintering. 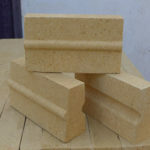 They are also called unburned magnesium bricks. 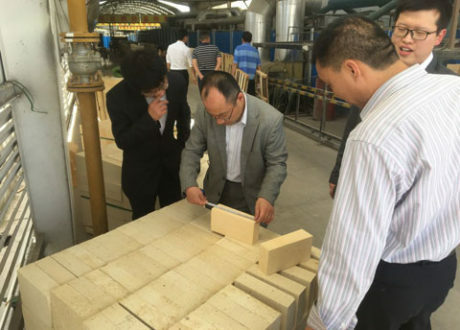 The production process of chemical bonded magnesium bricks is relatively simpler. Since they don’t need high temperature sintering, the price is lower than sintered magnesium bricks. 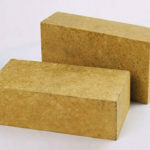 The high temperature performance of unburned magnesium brick is close to sintered magnesium bricks, but as there is no ceramic bonding, its mechanical strength is not high at 800~1300℃, which may cause spalling or damage during using. what’s more, chemical binder may form low melting point material and lead to the decrease of high temperature strength and slag corrosion resistance. 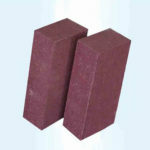 Chemical bonded magnesium bricks used to used at electric furnace side wall, glass kiln regenerative chamber checker, cement kiln lining, etc, but now is replaced by burned magnesia bricks and seldom used. 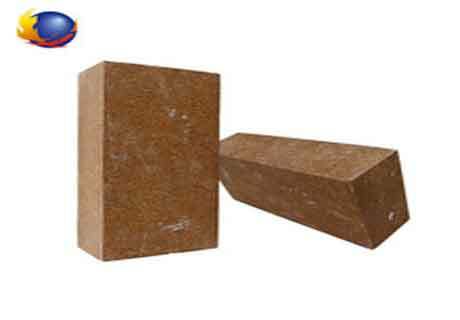 The raw materials of magnesium brick are natural magnesia sand and sea water magnesia sand. The MgO content in magnesia is usually between 89%~98%. Middle class magnesia sand contains about 95% of magnesia, high purity magnesia sand contains 96.5%~98% of MgO. The quality standards on sintered magnesia sand are grain bulk density, MgO content, impurity content, CaO/SiO2 ratio and so on. The granularity composition should meet largest bulk density theory and be favorable for sintering. Tempering can adopt wet grinding machine, planet compulsory mixer, or strong countercurrent mixer and so on. Binder can adopt sulfurous acid pulp waste liquid, brine, magnesium sulfuric acid solution and so on. The addition quantity is about 3%. The mixing sequence is: adding coarse grains first, then binding agent, after 1~2min mixing, adding fine powder and mixing 10~20 min. When raw material CaO content is high, aging craft can be applied to avoid magnesium brick green body cracking. Friction pressing machine are used for molding, hydraulic pressing machine are used for double faces pressing, which can make green body have homogeneous bulk density. During molding, pressing lightly at first, then gradually increases pressure, it is helpful for degassing by multi-times pressing. 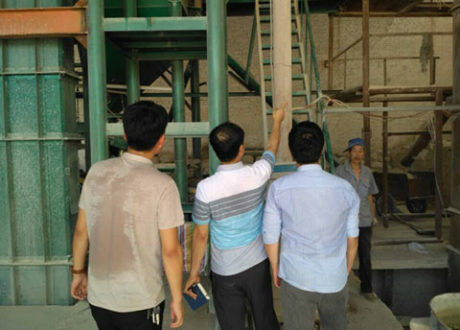 The pressure is generally between 100~200Mp0a, the bulk density of green body is usually about 2.95g/cm3. The purpose of drying is to eliminate physical water in green body binder, to increase the strength of green body, and to reduce defective bricks during piling bricks and sintering. Usually, tunnel kiln is used for the drying, the drying medium is often the hot air form tunnel kiln cooling zone. The entrance temperature of hot air is 100~110℃, while the exit temperature is about 40~60%. Drying time should be longer than 16h, after drying, water content should be controlled under 0.8%. The piling density have great affection on kiln current distribution and sintering quality. The higher the piling density, the higher the tunnel kiln efficiency. But with the increase of piling density, air resistance significantly raises, more quantity of air is needed for sintering, and more defective magnesium bricks are produced. 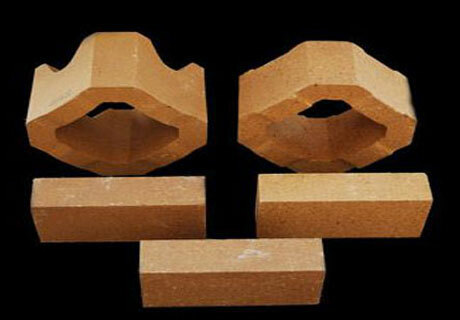 The sintering of magnesium brick is carried out in tunnel kiln or down draft kiln. But the production efficiency of down draft kiln is low, thermal working condition is not easy to control, so tunnel kiln is the most effective and widest use thermal equipment for magnesium bricks sintering. 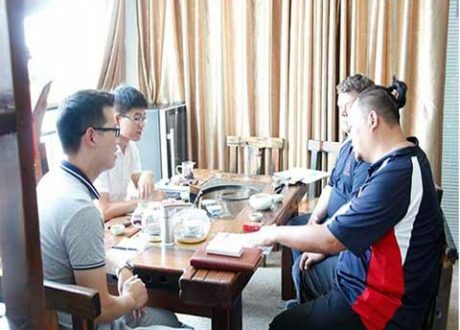 The structure, thermal operation, and fluid mechanics properties of tunnel kiln is important conditions for low energy consumption, high efficiency and high quality product production. 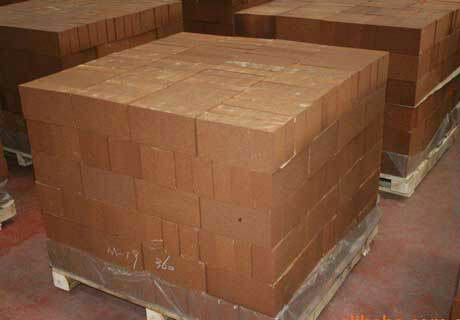 Magnesium brick green body is treated at different temperature at different part of tunnel kiln. 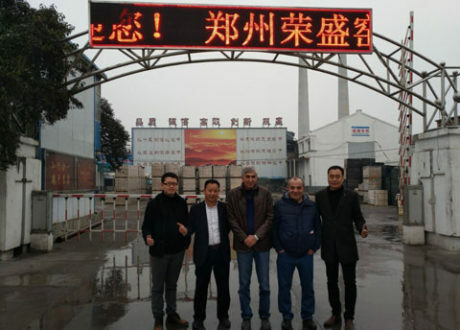 Tunnel kiln is divided into pre-heating zone, sintering zone and cooling zone. Due to good high temperature performance, strong metallurgical slag corrosion resistance and so on, Magnesium bricks are widely used in steel making furnace lining, iron alloy furnace, iron mixing furnace of steel industry, copper smelting furnace lining, lead smelting furnace lining, stannum smelting furnace lining, zinc smelting furnace lining and other nonferrous metals smelting furnaces linings. Magnesium bricks also have a wide application in lime kiln, glass kiln regenerator checker-work, vertical magnesia sand sintering kiln, basic bricks sintering tunnel kiln and other high temperature sintering kilns. 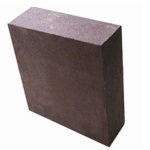 If you are looking for cheap magnesium brick with the best quality, please feel free Contact us for free price list!